Tickets for Sierra Nevada Brewing Co.’s Beer Camp Across America (BCAA) six-city festival tour are now available for purchase at: www.sierranevada.com/beercamp. Join the nation’s largest celebration of locally brewed craft beer, so far with more than 300 craft brewers signed up to pour alongside Sierra Nevada. The festival lineups include the six original BCAA collaboration beers (available in stores in May) and an incredibly diverse selection of beers from regional brew-masters and beyond. Tickets include a collector’s edition sampling glass, tastings and live entertainment. Festival-goers can also enjoy local eats. 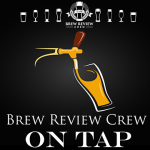 Come raise a glass with the most innovative brewers in American craft beer. Presented by Sierra Nevada Brewing Co., Beer Camp Across America (BCAA) is the largest craft beer celebration, bringing together brewers from every corner of the country to create one-time-only collaboration beers and to stage huge beer festivals in craft-centric cities. BCAA showcases the creativity and camaraderie that make American craft beer extraordinary, and everyone’s invited—brewers and beer fans alike. Six beers created by 31 visionary breweries, it’s an experience craft beer fans won’t want to miss. The Beer Camp Across America festivals are each presented by a regional sponsor. All proceeds from the ticket sales of these festivals will benefit those organizations, find more information on our partners here: http://beercamp.sierranevada.com/partners/. 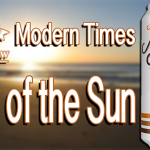 City of the Sun - Modern Times Beer Review!